Helping Great Libraries like yours with our specialized solutions! 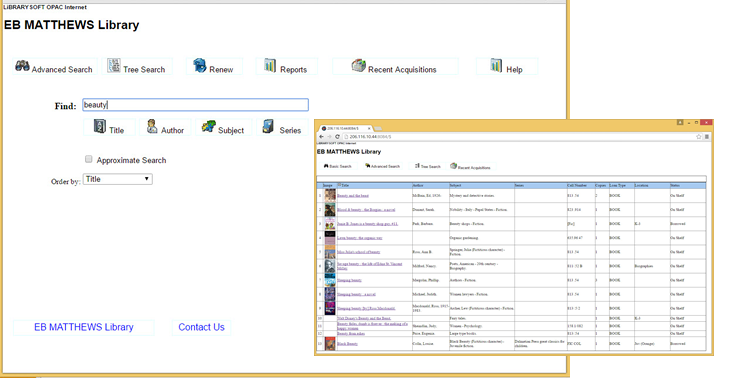 Our Web OPAC is Free! Install on your web server or let us host it for free, Instant Sync is included, all part of Customer Support! Licensing is by the Library, no networking restrictions! Enter a million records, or more, use as many workstations as your network and hardware can handle. Telephone, Email or Fax for Support. Please look at our Online Help and Training Videos.